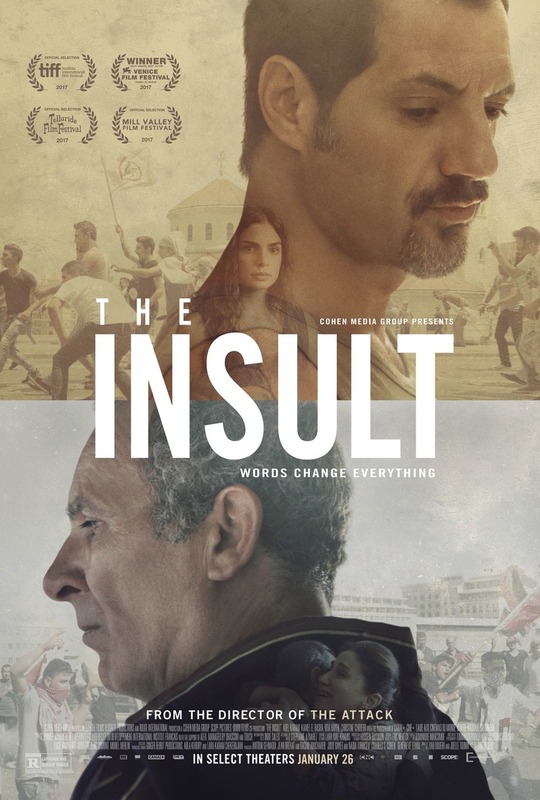 The Insult DVD and Blu-ray release date was set for May 1, 2018 and available on Digital HD from Amazon Video and iTunes on May 1, 2018. Tony, a Lebanese Christian, and his neighbor Yasser, a refugee from Palestine, get into a minor altercation in modern-day Beirut. During their argument, Yasser throws out an insult that Tony can neither forgive nor forget. The misunderstanding that follows lands the two of them in court. Media intervention and Tony's publicity-seeking Christian lawyer complicate matters and expose the historical conflicts in Lebanese society that have yet to be resolved to this day.